The 2019 Sea Otter Classic is April 11-14, 2019! 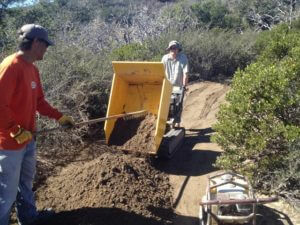 MORCA will once again be providing volunteers to support the Sea Otter Classic. As well as participating in the kick off cycling event of the year, volunteering for this event helps raise funds for MORCA, drives membership for IMBA and MORCA and helps MORCA gain name recognition in the local community. We need volunteers to help MORCA marshal the Dual Slalom and staff the MORCA booth. Volunteers will get free entry to the Sea Otter Festival a great experience and maybe more.